The Samaritan’s Purse Children’s Heart Project brings lifesaving cardiac surgery to boys and girls living in countries that do not have the medical facilities or the expertise to perform such complex procedures. We transport the child along with a parent or guardian to North America—where they stay with a Christian host family—and then undergo an operation donated by a local hospital. Our teams share the Good News of the Gospel with these children and their family members, and many have come to faith in Jesus Christ. In total, more than 1,300 children from 16 different countries have received heart surgeries through the project since its start in 1997. More than 400 children from Mongolia alone have had operations. 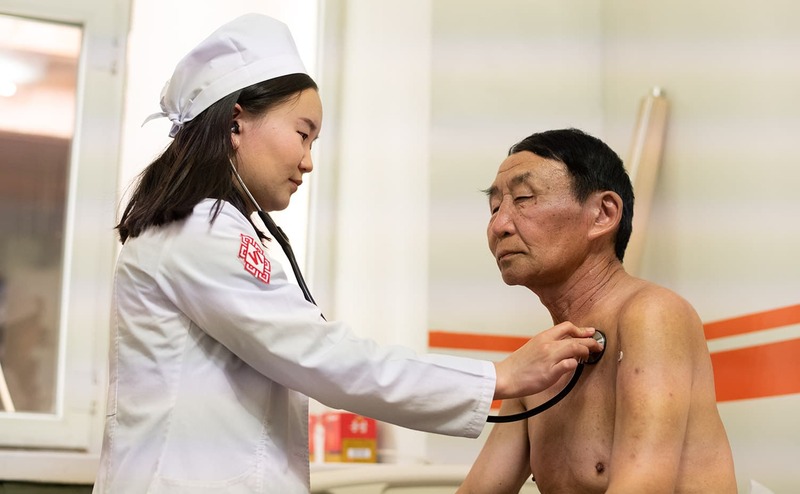 We thank God for working in the lives of patients like Miigaa, who experienced physical and spiritual transformation and now serves the Lord in Mongolia. Miigaa begins her day by praying for her family and for people throughout Mongolia. She wants them to come to faith in Jesus Christ and experience the same joy she did when she became a believer. Miigaa grew up in a Buddhist family and had no idea that her desperate need for heart surgery at age 14 would eventually lead her to hear and receive the Gospel of Jesus Christ. 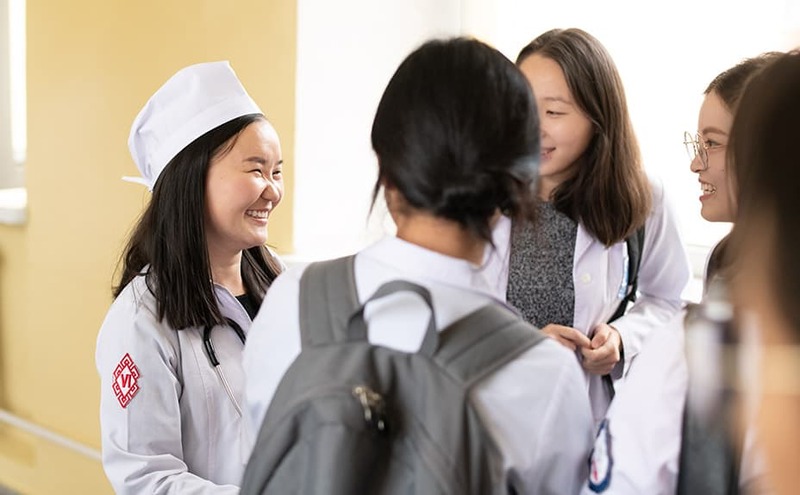 She got the operation she needed through the Samaritan’s Purse Children’s Heart Project and later heard the Good News for the first time during Heart Camp, our one-week Bible study and discipleship program for former patients in Mongolia. Ten years ago, as a young teenager, Miigaa was told she had a hole in her heart. She was also told that Mongolia did not have the medical facilities or surgeons with expertise to perform the complex procedure. Miigaa struggled physically growing up. She enjoyed hiking but easily gave out of breath and couldn’t walk long distances. Miigaa couldn’t participate in her physical activity class at school. 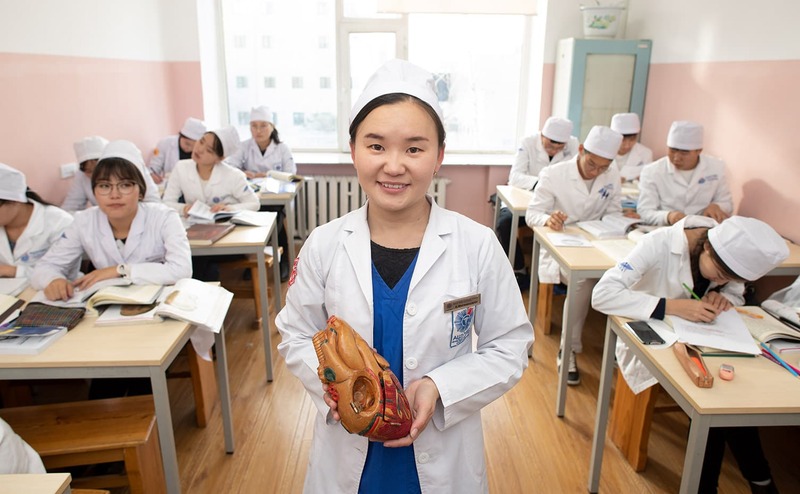 She and her family regained hope when a doctor in Ulaanbaatar, Mongolia’s capital city, told them about Children’s Heart Project. Normally, Samaritan’s Purse transports the child needing surgery, along with a parent or guardian, to North America. They stay with a Christian host family and then undergo an operation donated by a local hospital. On occasion, instead of bringing children to North America for surgery, doctors from the U.S. travel to Mongolia to do surgeries there. Miigaa and her family rejoiced when they learned that U.S. doctors would be able to do her surgery in Mongolia. The surgery was successful, and Miigaa started feeling better just a few days after her operation. A few years after her lifesaving heart surgery, Miigaa prayed to receive Jesus as her Lord and Saviour during our Heart Camp. She has since served as a camp leader and last year saw three children in her Bible study group become Christians. Now in her last year of medical school, Miigaa also shares her faith in Jesus with her classmates. Several of them have started attending church with her. After graduation she’ll study for two more years and focus on cardiology because “I know how difficult it is to have heart disease,” she said. Miigaa explained that she has already started working with heart patients as part of her schooling and through her experience she is able to “feel the pain” of her patients. The young woman believes that God has called her to be a witness for Him as she prepares to become a cardiologist.